Back around the end of 1973, with the fuel crisis looming, American carmakers were still optimistic about selling a few hundred examples of large-and-in-charge V8 machines to residents of the British Isles. As a result, the very English Tony Bastable rounded up the best of the American offerings in the UK for a discussion of their merits on Drive-in, a factual automotive television program at the time. Maybe it’s something of a precursor to Top Gear given its cynicism. The resulting six minute review is just so great. By beginning the program with a comparison between Cadillac’s Eldorado Coupe and a Mini is perhaps a bit ridiculous, but that’s because ridiculous is exactly what the Eldorado Coupe is to Mr. Bastable. A V8 displacing more than eight times as much as the diminutive Brit’s four-cylinder is absurd in the truest form of the word. After lambasting American cars for luxury features like a door buzzer and power adjustable seats in the Mercury Mark-Wiss, he goes on to discuss just how large the 8-seater AMC Ambassador wagon estate is. It’s all laughably quaint when viewed from our wide-open country, but it makes perfect sense in a quite sensible early 1970s Britain. You can’t exactly pop down to the shops in a 2nd gen “Super Hugger” Camaro Z28, can you? The only car in this segment the presenter seems to find amenable is the Mustang II, for its downsized and rightsized proportions. For some reason it just drives around in a tight circle on camera for a few seconds, to display its... I’m not sure exactly. 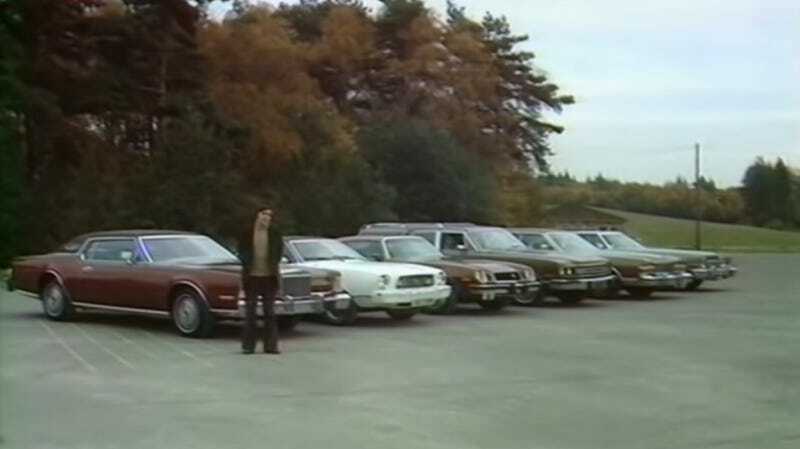 I had a good few chuckles watching both how ridiculous American cars were in the early 1970s, but also how ridiculous Brits thought American cars were in the early 1970s. It’s a good time and worth a view.